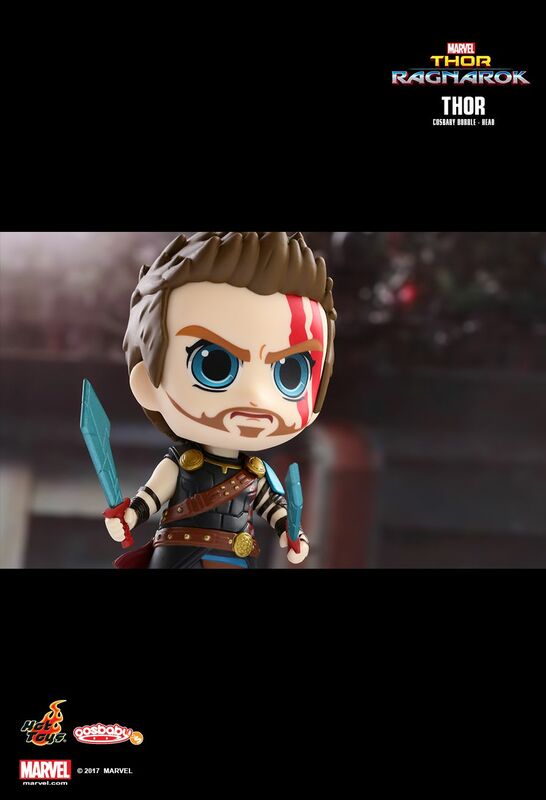 The latest release of the Marvel’s upcoming Thor: Ragnarok new trailer has generated over 25 million views! 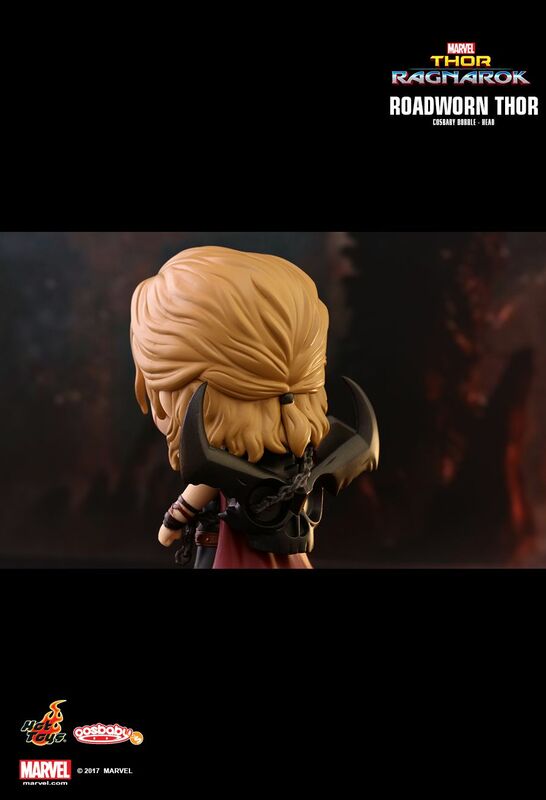 Fans around the world are super excited and start the countdown to the release of the movie. 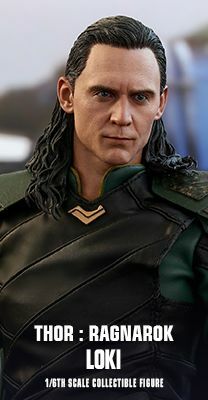 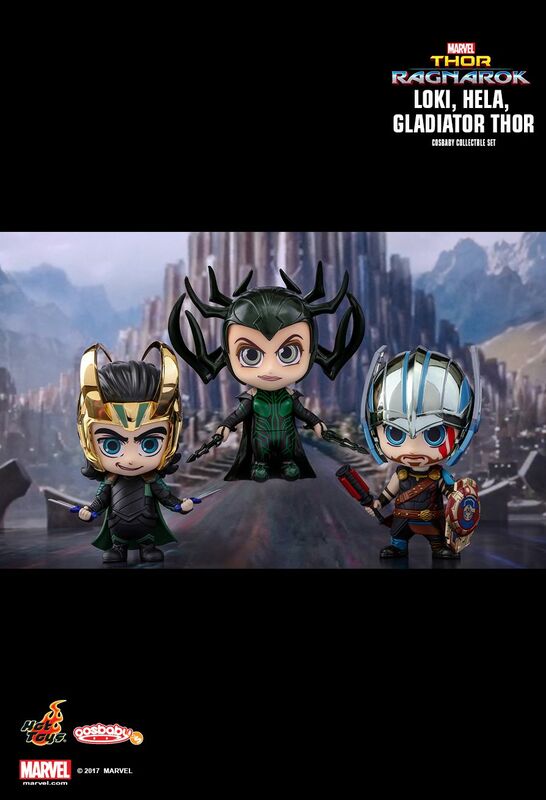 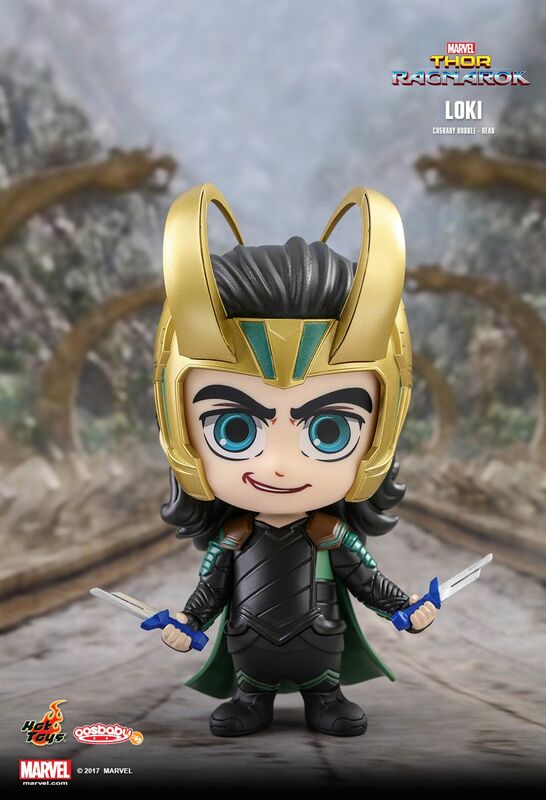 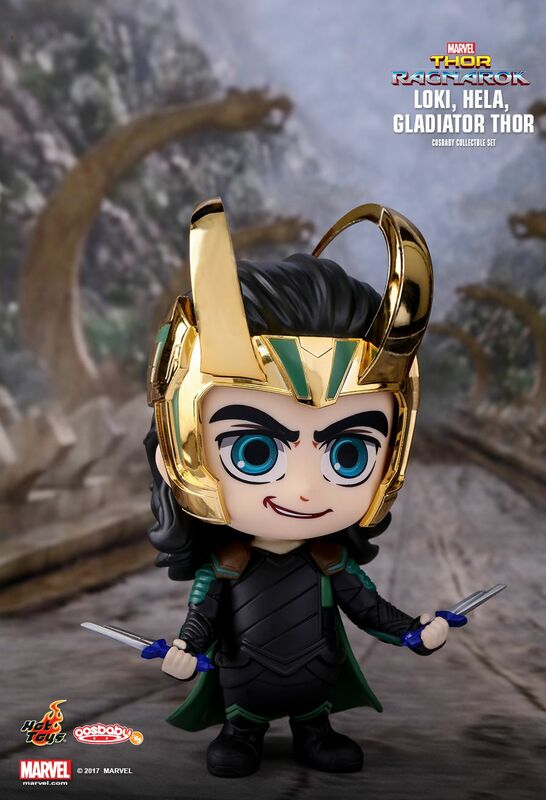 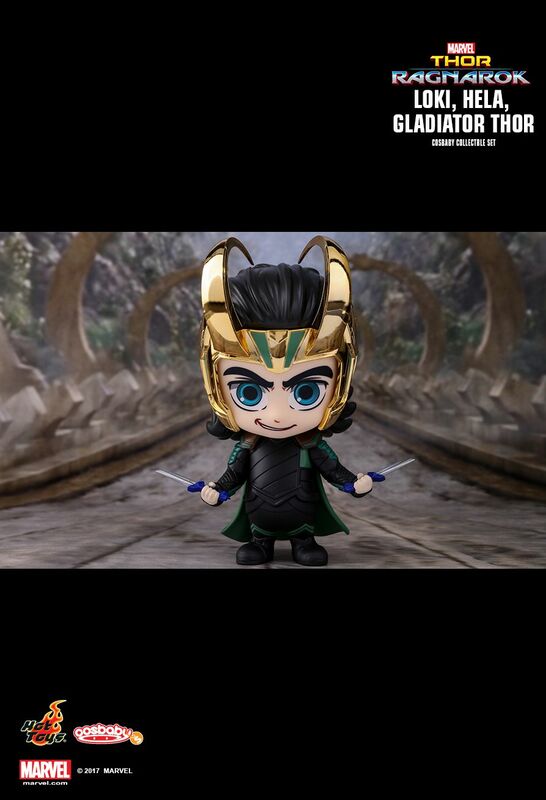 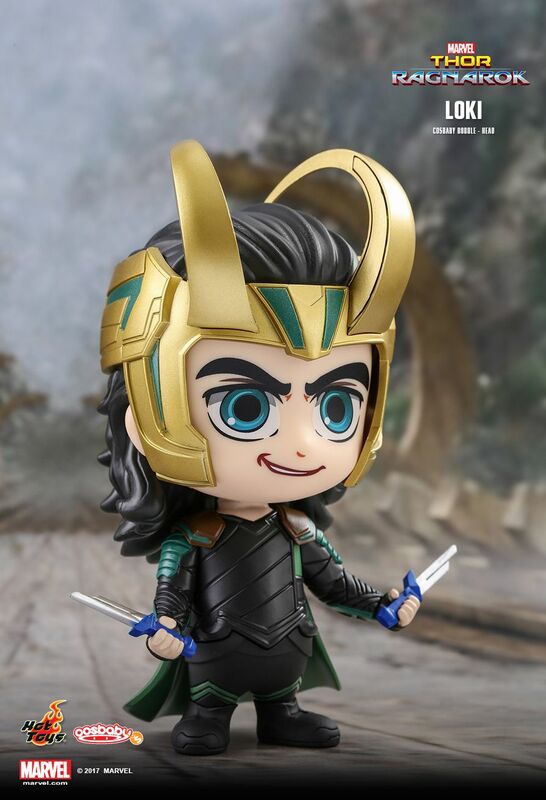 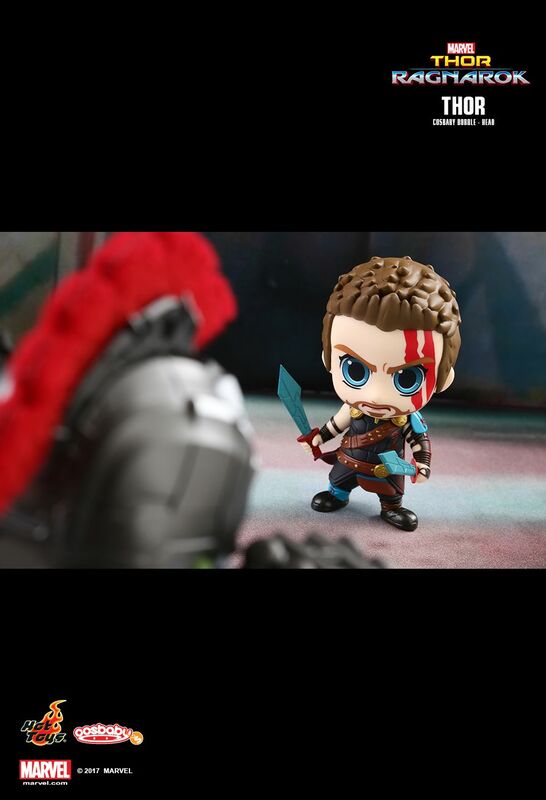 Today, Hot Toys is delighted to introduce this highly anticipated Thor: Ragnarok Cosbaby (s) Bobble-head Collectible series as the new additions to the Cosbaby collection. 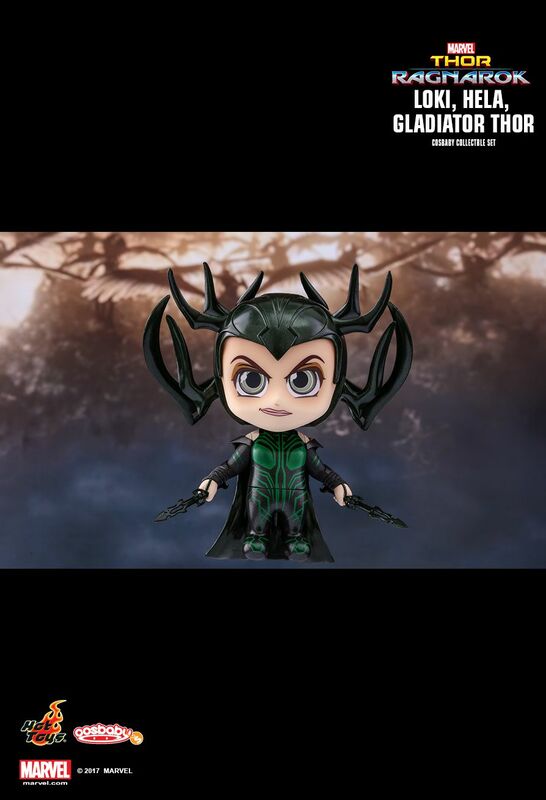 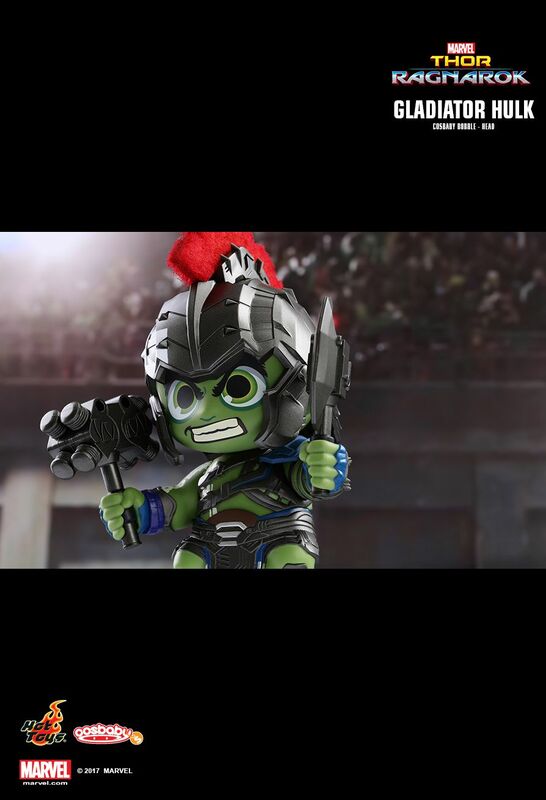 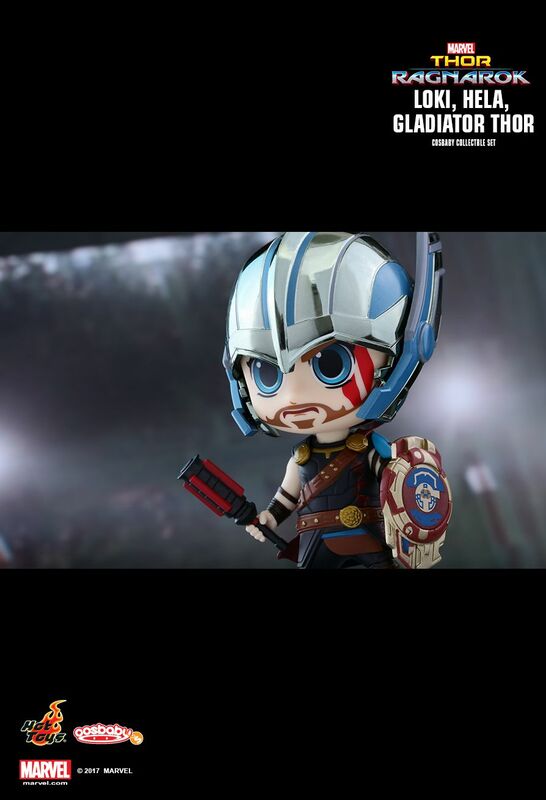 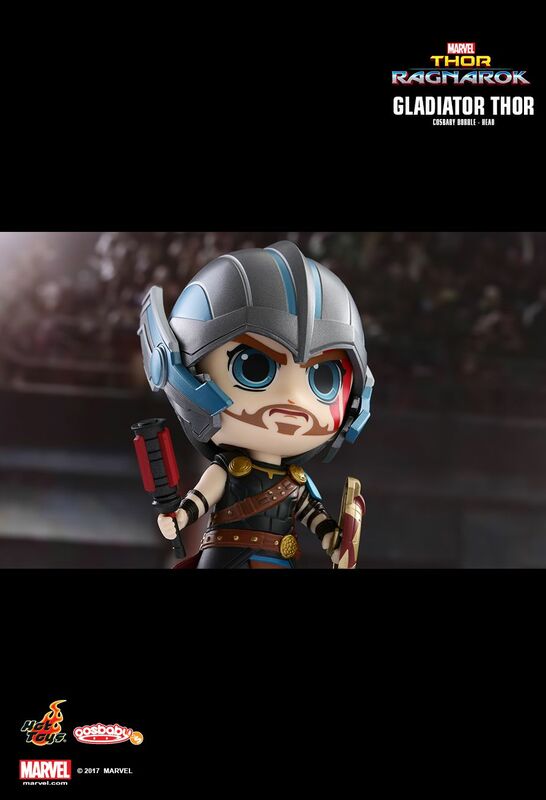 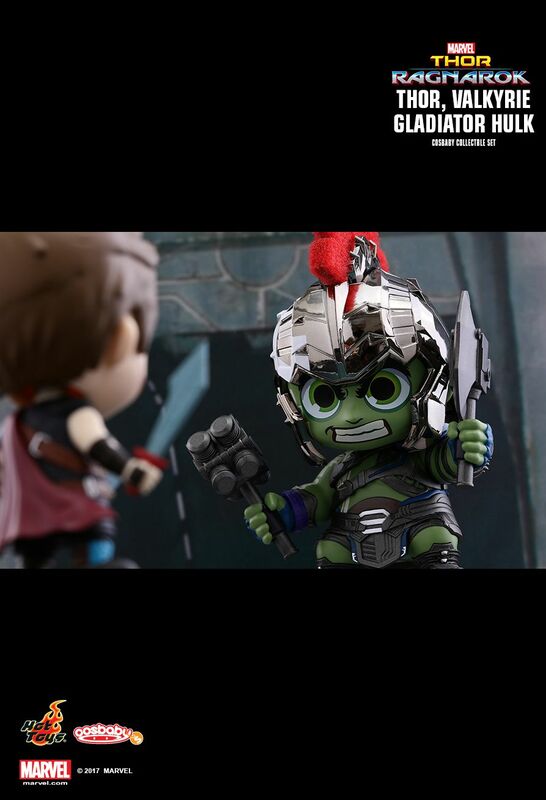 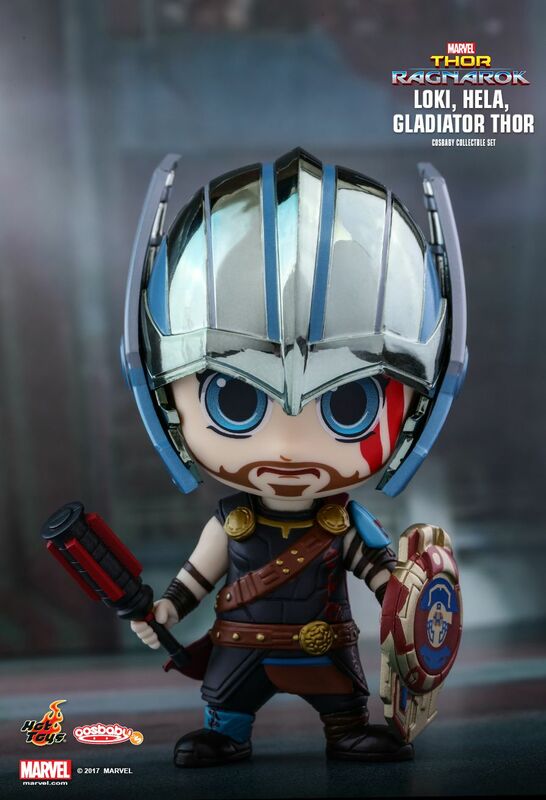 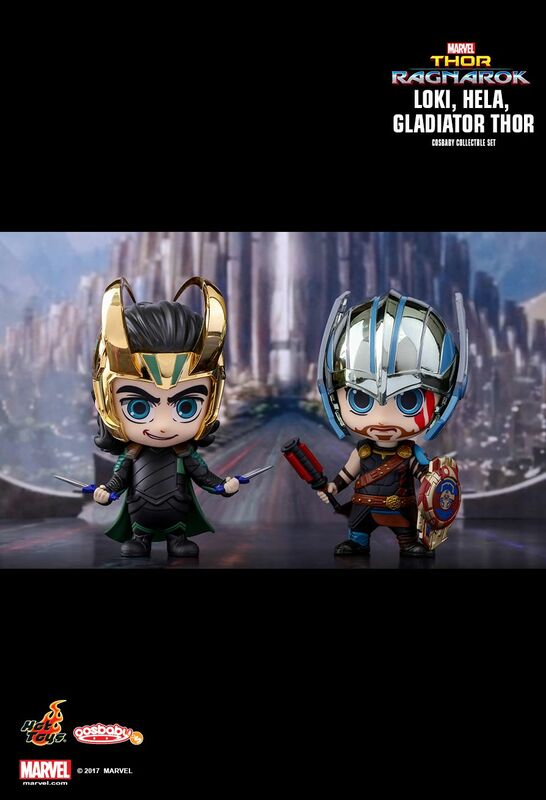 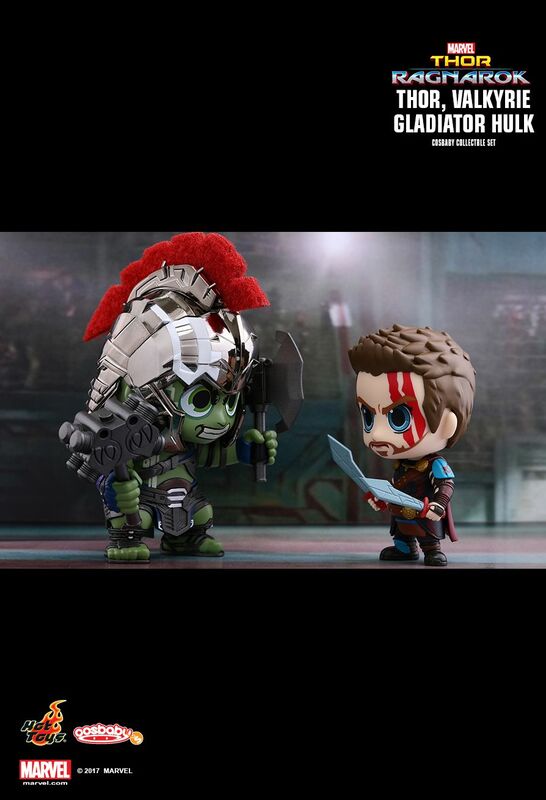 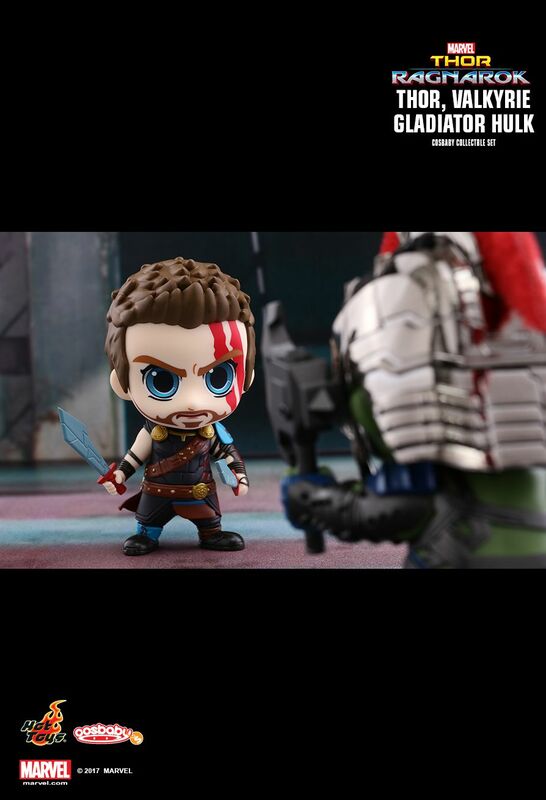 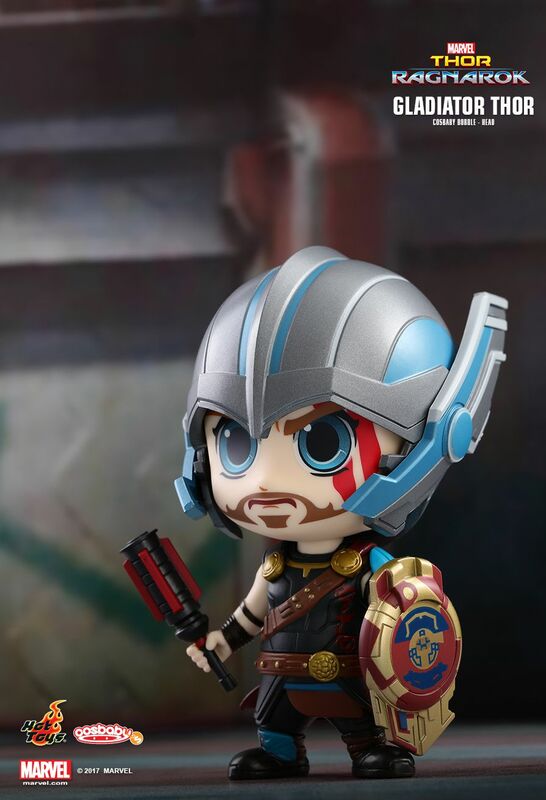 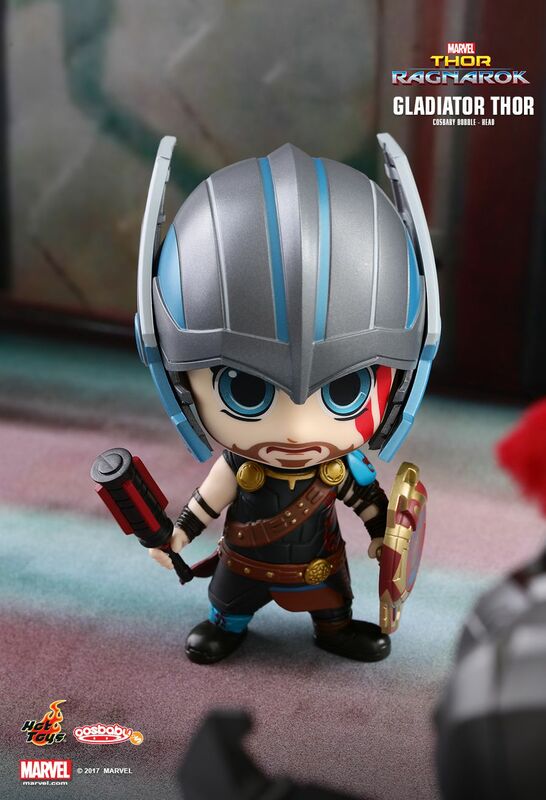 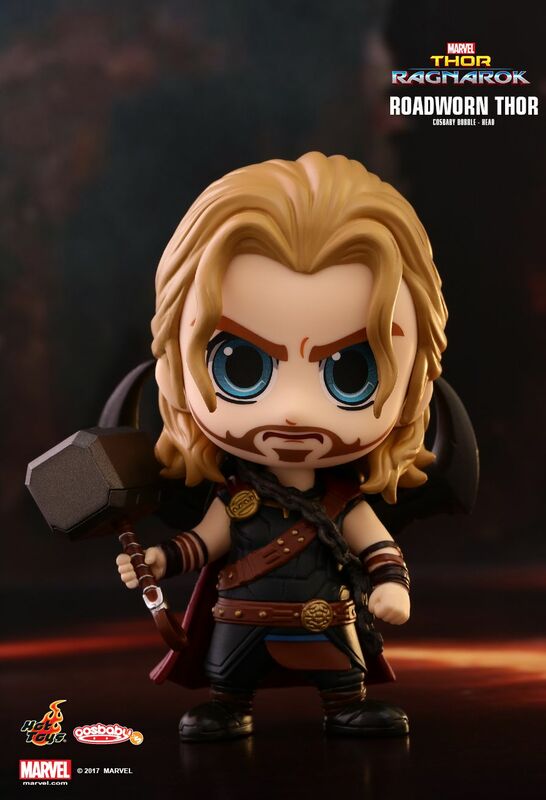 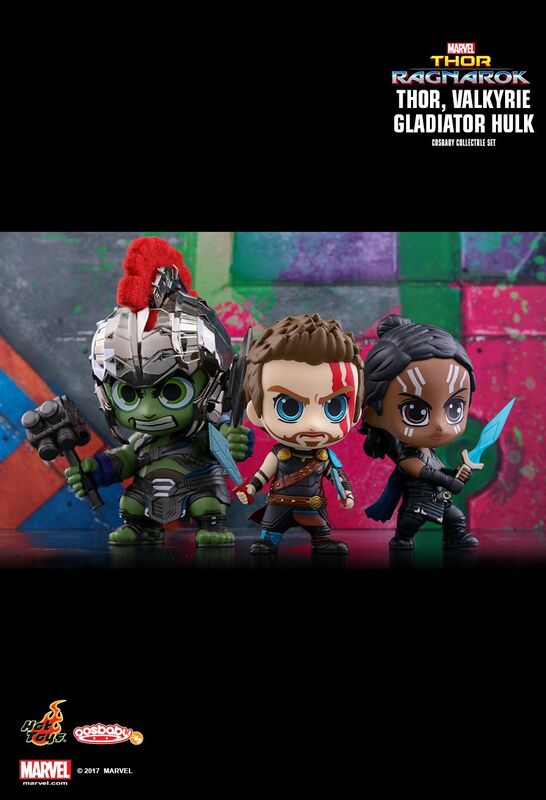 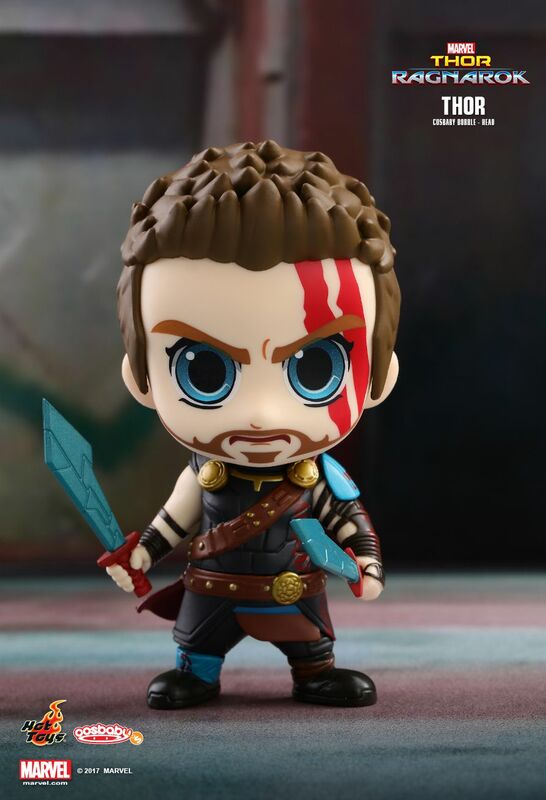 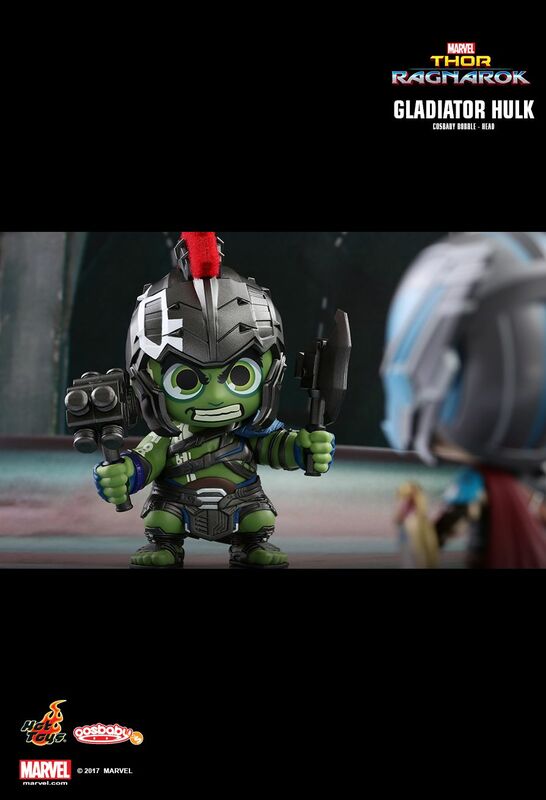 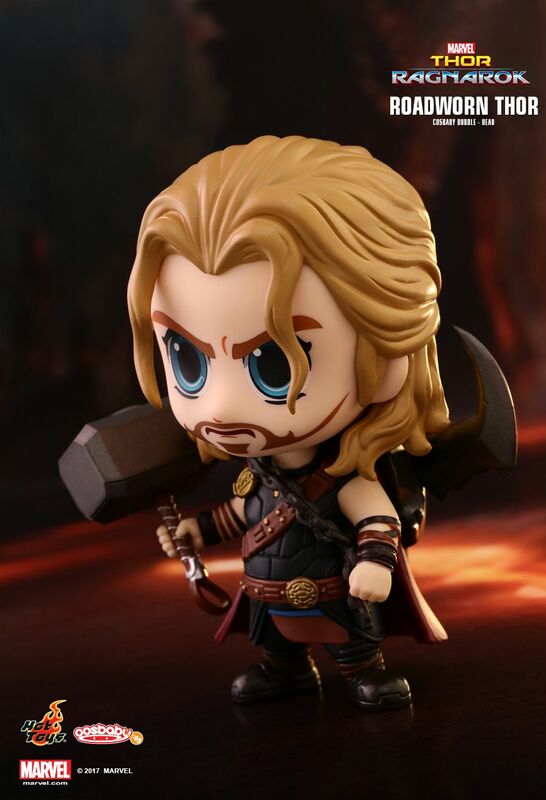 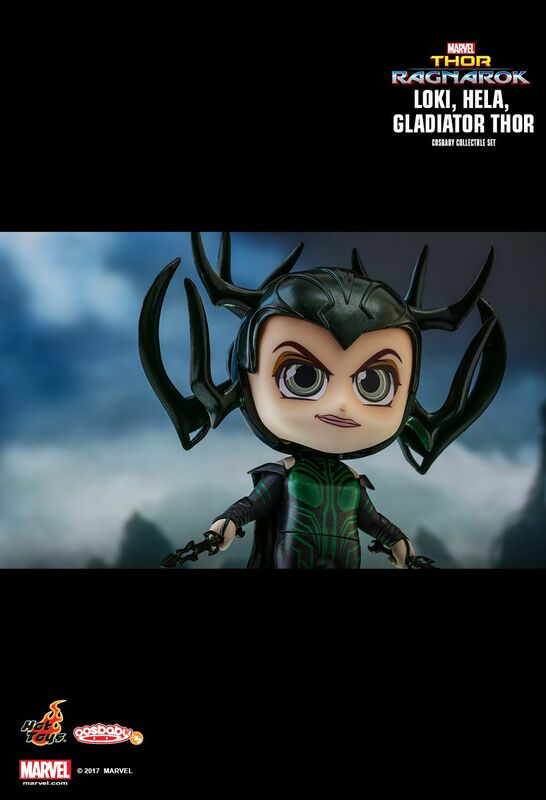 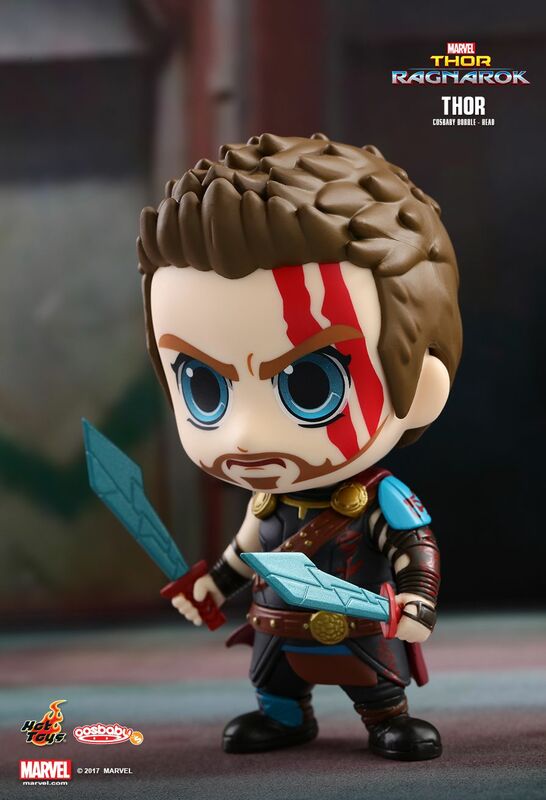 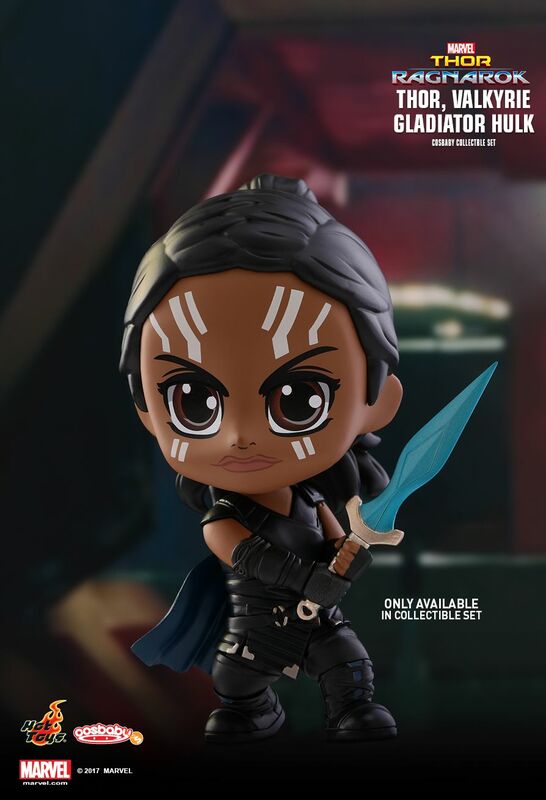 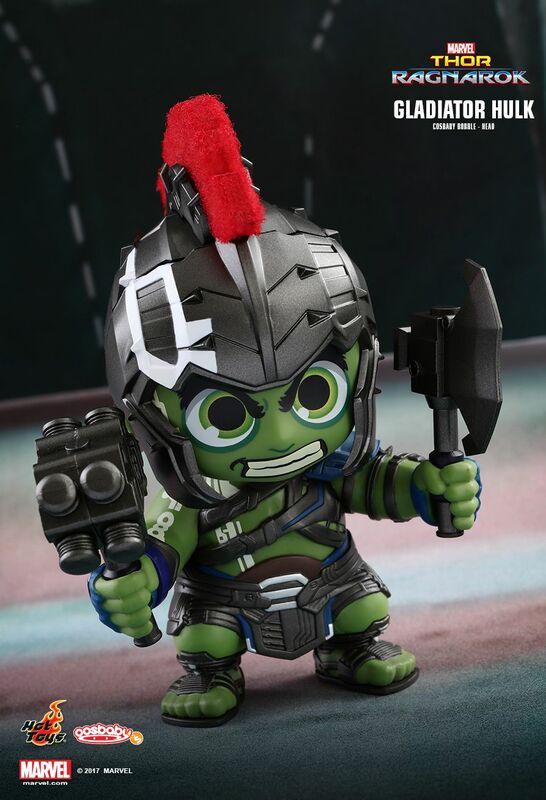 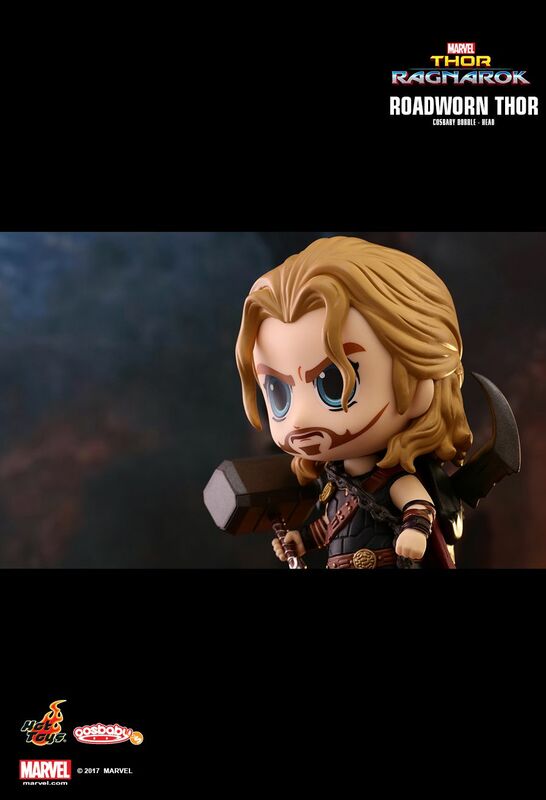 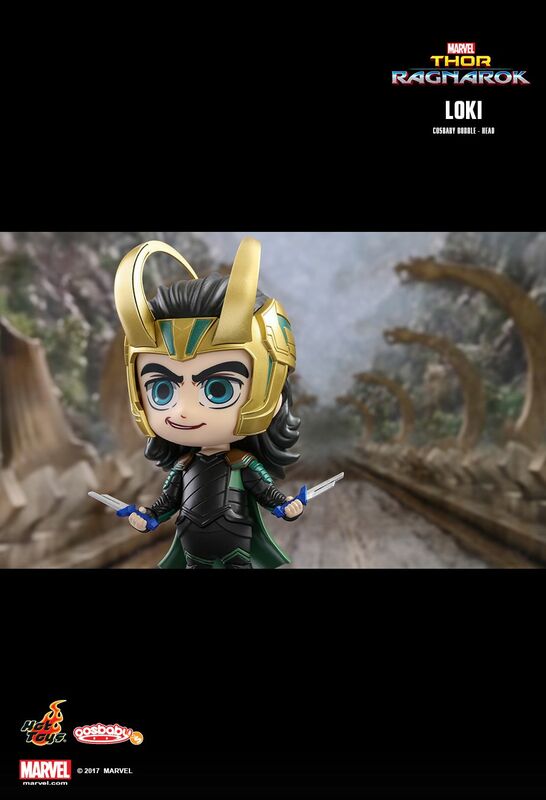 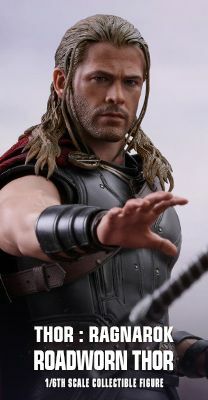 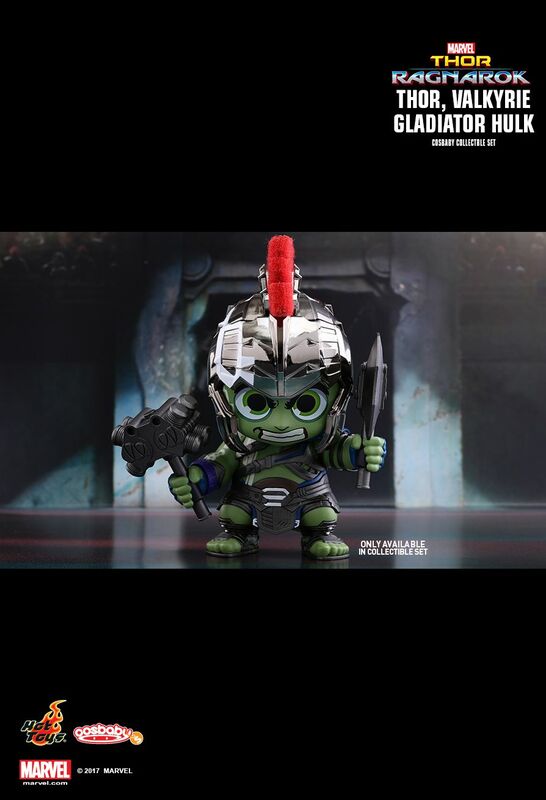 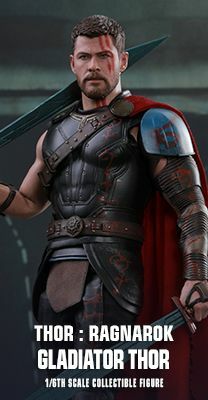 The Thor: Ragnarok Cosbaby series stands about 10.5 – 15cm tall includes Thor, Roadworn Thor, Gladiator Thor, Gladiator Hulk, Loki, Hela and Valkyrie. 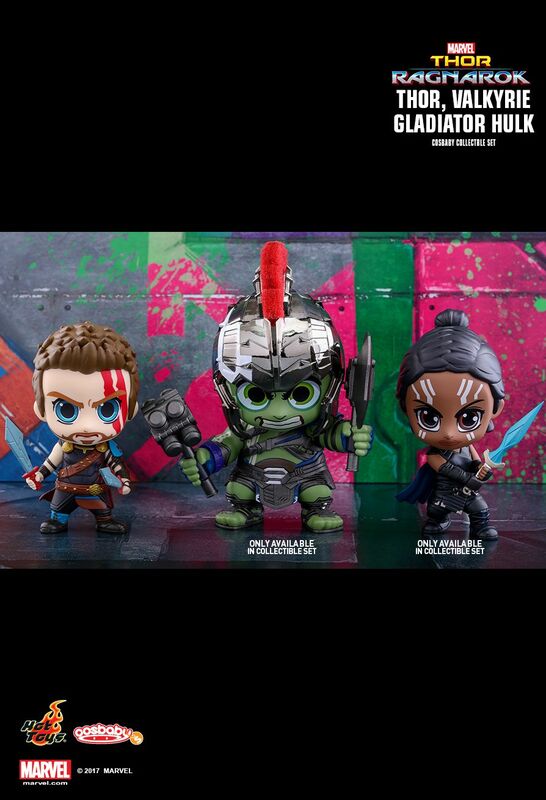 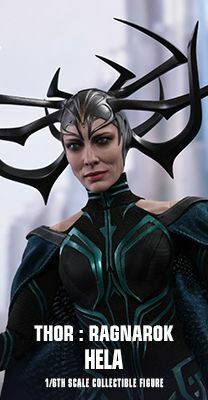 Hela and Valkyrie; Gladiator Thor, Gladiator Hulk and Loki’s helmet with metallic finishing are only available in their respective collectible sets! 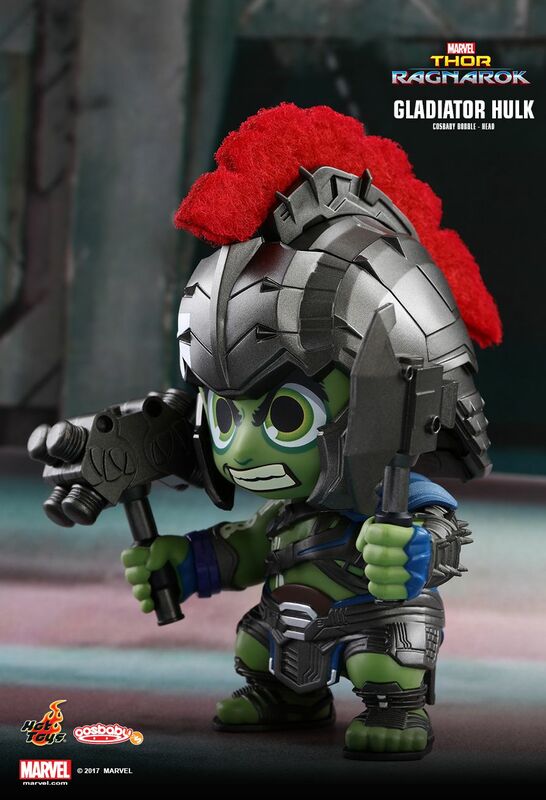 These lovely Cosbaby bobble-heads are armed with their unique weapons! 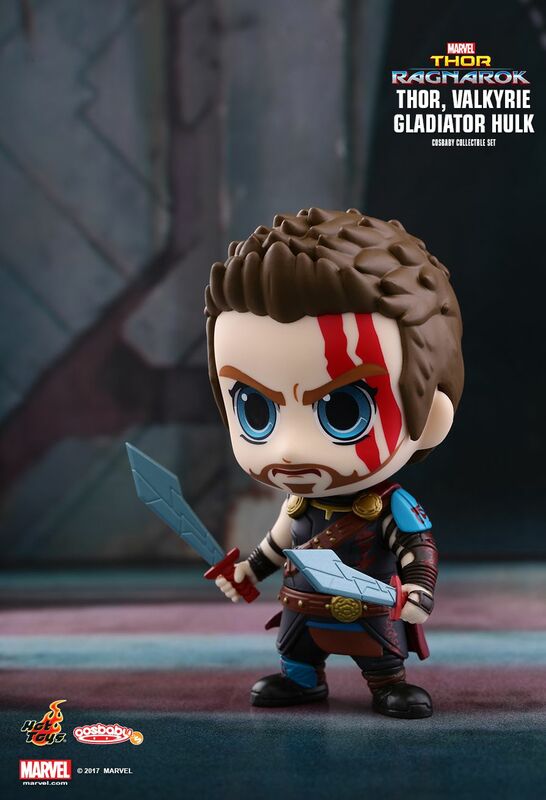 Get the full line of Thor: Ragnarok now before it’s gone!